This is sponsored by Mirum. All opinions are my own. My little girl LOVES Barbies. It is so much fun to watch her play with and love something that I adored when I was little. This year she got two new fun Barbie toys that she’s having a blast with. 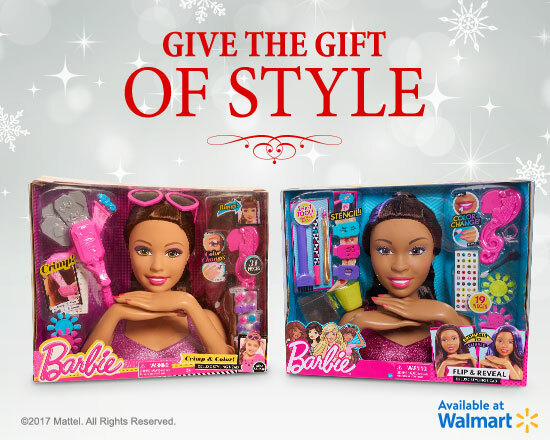 Barbie always keeps things fresh and comes out with amazing new toys for the holidays. 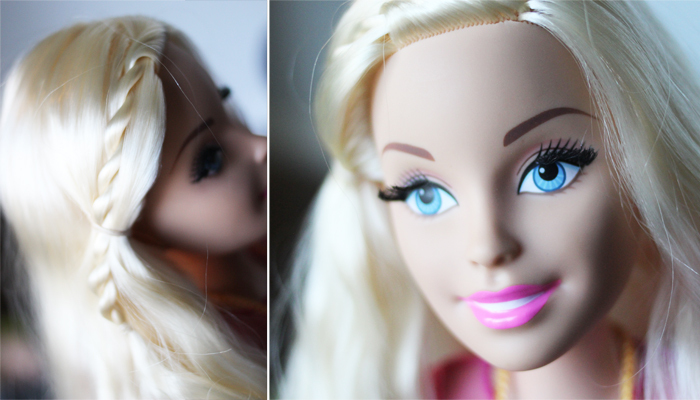 The first one is this Barbie Flip & Reveal Deluxe Styling Head. 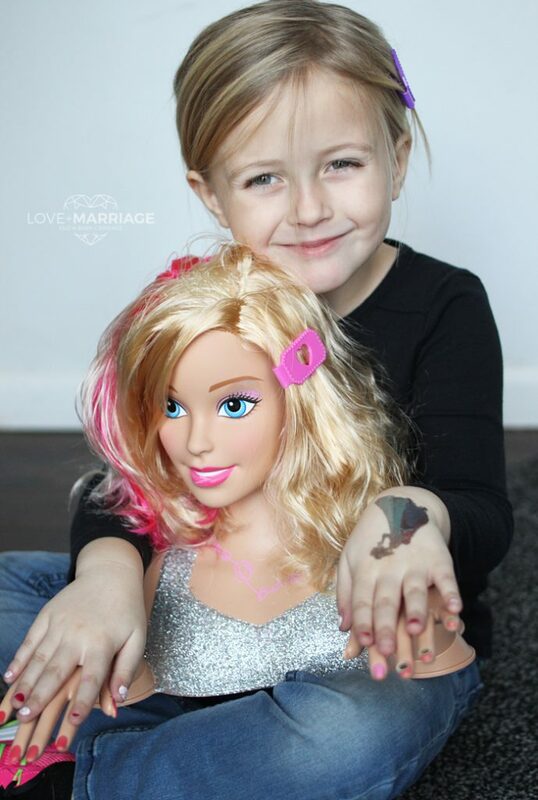 She has blonde hair and is totally obsessed with all things blonde, so we of course we got her the blonde version. There is also a brunette. When you push her hair over she has a hot pink streak! She comes with a bunch of accessories for fixing her hair and nails. She loves dipping the applicator in water to make her nails and lips change color. Her favorite though, is the chalk marker so you can make designs in her hair. 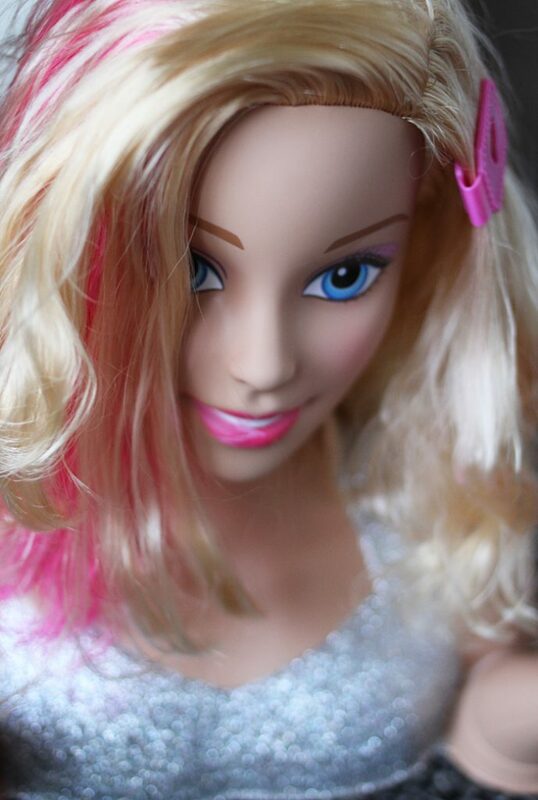 The other fun Barbie toy is the 28″ doll. She has taken this thing with us everywhere we go! It’s like having a friend with her all the time which is awesome because she gets to play pretend and role play with her. She came with a brush and she loves brushing her pretty hair. It’s got realistic hair that is actually easy to brush through. 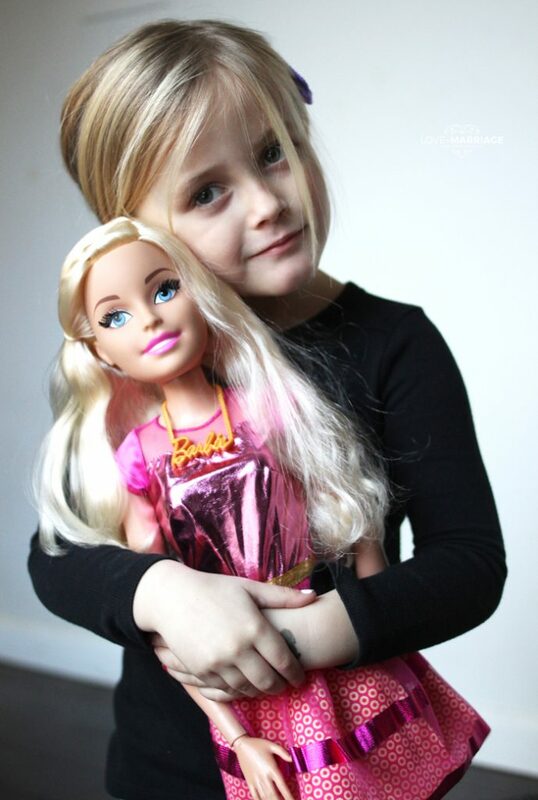 These Barbie’s make amazing presents for all the little girls in your life!